Daymond initially made his mark as the entrepreneur and branding expert behind the groundbreaking lifestyle brand, FUBU, which eclipsed more than $6 billion in global retail sales. From the streets of Hollis, Queens, Daymond started a global movement from the basement of his mother’s house by capitalizing on the then fledgling hip-hop culture. Today, the streetwear market that FUBU pioneered is a $20 billion dollar industry. Since then, Daymond has continued to challenge himself and the business world in which he operates. 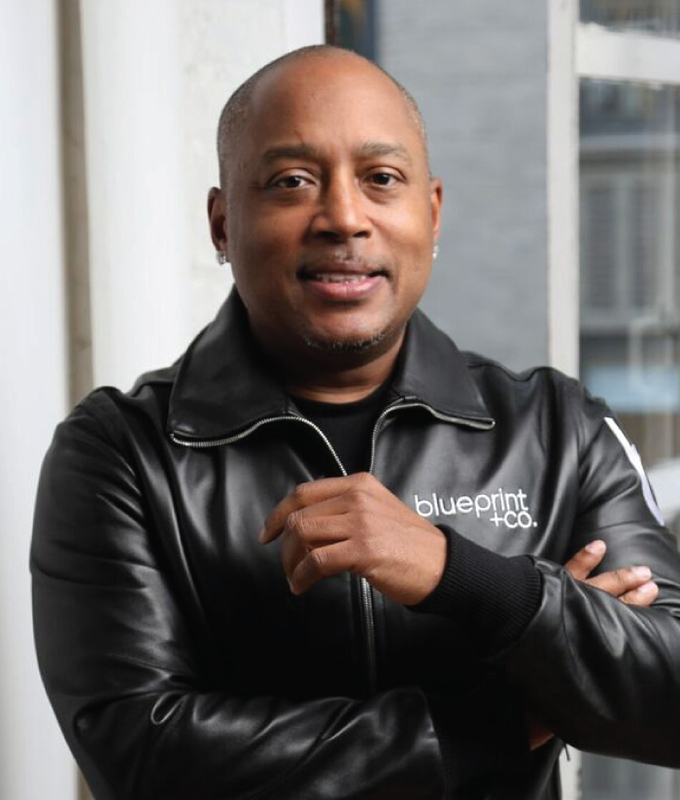 In 2009, Daymond was tapped by lauded television producer, Mark Burnett, to join the cast of a new business-reality concept, Shark Tank. After 8 seasons, 4 Emmy Awards, multiple Critic’s Choice Awards and millions of dollars in investments, the show has become the most watched program on Friday nights, and one of the most successful business reality series of all time. Over the course of the series, Daymond has been a mainstay of the cast of Sharks and is now affectionately referred to as, “The People’s Shark.” Season 9 will begin shooting in June of 2017. Resolved to expand his own brand, Daymond has written three books, the most recent of which debuted at #2 on the New York Times Best-Seller list in January of 2016. The wildly successful release, The Power of Broke (Crown Publishing) takes an in depth look at how successful entrepreneurs who started from broke were forced to think more creatively and to leverage their resources more efficiently, than their counterparts. While his previous books, Display of Power and The Brand Within were national best-sellers, The Power of Broke stands as the only New York Times best-selling book from any of the Sharks. As a dynamic speaker with more than twenty-five years of proven business experience, Daymond has become one of the most highly sought after speakers in the country. He regularly speaks at Fortune 100 companies, conferences, universities, and independent businesses alike. Daymond’s high energy presentations give audiences relatable advice and practical takeaways. His S.H.A.R.K. Points are actionable principles that bring long term results. Entrepreneurship, marketing and branding, financial literacy and goal-setting are among his most popular topics. Daymond has delivered keynote speeches for organizations such as General Mills, Johnson & Johnson, Samsung, AT&T and dozens more.